Radiant barrier insulation is one of the fastest growing segments of retrofit insulation. 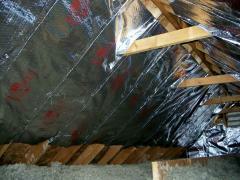 Radiant barrier insulation is designed to reflect radiant heat and is a cost-effective option for thermal performance. We install Silver Shield radiant barrier from Fi-Foil. Silver Shield radiant barrier is designed to reduce radiant heat transfer. During hot temperatures, Silver Shield’s layers expand to create an additional reflective air space and provide high thermal performance. Silver Shield radiant barrier can be used in many areas including roofs, gables and knee walls. Silver Shield is designed with layers of low emittance (low-e) materials. These layers include an inside layer of metalized polymer and an outside layer of reinforced aluminum foil kraft paper. These two layers are bonded with a fire-retardant adhesive. The product is perforated to allow transmission of water vapor. Silver Shield radiant barrier can significantly reduce heat rise and attic temperatures, increasing the effectiveness of traditional insulation materials such as fiberglass, cellulose and foam. During hot summer weather, Silver Shield radiant barrier is four times more effective in reducing solar heat than traditional insulation materials. 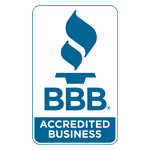 For technical information about Silver Shield attic radiant barrier, click here. 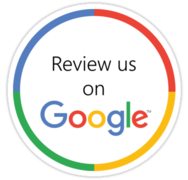 To discuss using Silver Shield attic radiant barrier in your next project, contact our office today!